In spite of government plans made to cordon off the whole of Tiananmen Square, students are able to enter the square and mount their demonstrations and events before police have taken up their positions. In a sincere gesture, reminiscent of Qing practice, several students kneel on the steps of the Great Hall and beg Premier Li Peng to come out and talk to them. He declines. 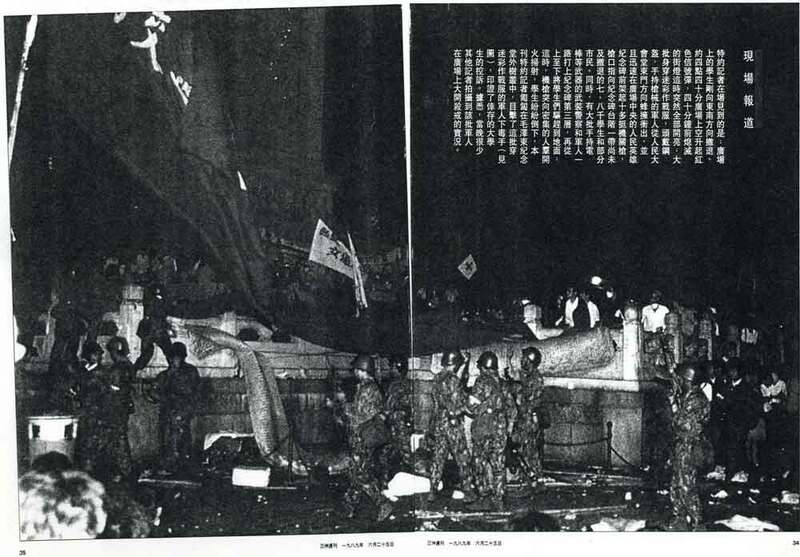 The official government newspaper, the People's Daily, labeled the student movement as a riot instigated and organized by a small number of wicked people. It called upon the whole nation to suppress the "riot". The infamous "4/26 editorial" was joined by the mobilization of the 38th Army. The students are now joined by many of their teachers, scores of journalists, and by many citizens of Beijing. 100,000 march in Beijing, dwarfing the historic student demonstrations of the May 4 Movement in 1919. Demonstrations occur in other cities and overseas as well. Students begin a hunger strike. Premier Li Peng agrees to meet with the students. Secretary-General Zhao Ziyang visits the hunger strikers and urges them to end their fast. Premier Li Peng and the president of China, Yang Shangkun, declare martial law and order units of the People's Liberation Army to return order to the city. Demonstrators build barricades around themselves and urge the troops not to enforce the martial law restrictions. 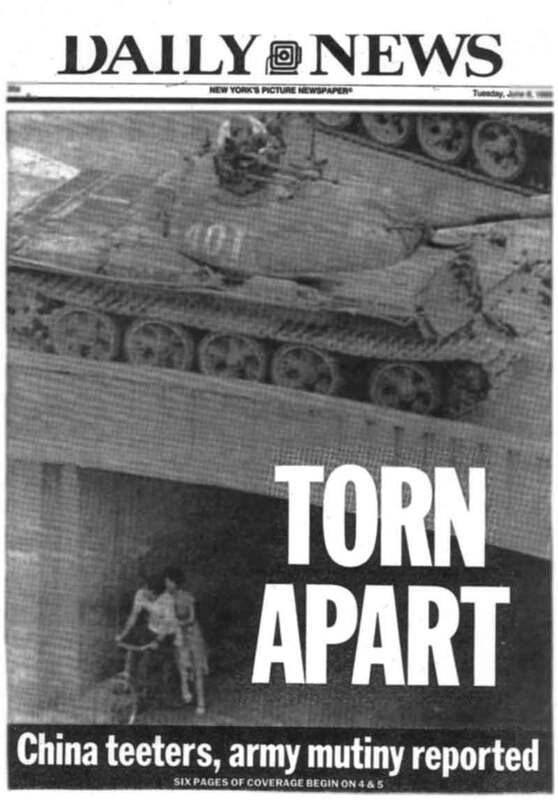 Armed troops head toward Tiananmen Square but are blocked by people on the road and who sleep at night there preventing passage. A hundred thousand soldiers surround Beijing. Twenty thousand students vow to stay on the Square. "...our blood may be shed, yet we cannot give up freedom and democracy. May our lives and blood call upon a beautiful future for our Republic"
Student leaders encourage their fellow students to end the hunger strike and return to their campuses but there are new recruits from other cities. The students build a thirty foot statue of the "Goddess of Democracy". Late at night, well-armed troops from the Twenty-seventh Army and other units loyal to Deng smash through the barricades in heavy tanks and armored personnel carriers to put an end to the students' movement.